Hylete Altium Sports Bra at Bodybuilding.com - Best Prices on Altium Sports Bra! The modern female athlete needs a sports bra that works for any activity. Wear it alone or as a base layer for your complete HYLETE look. 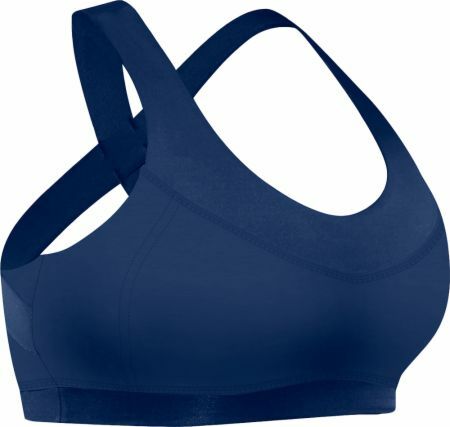 The altium sports bra features breathable 4-way stretch fabric, extra comfortable wide x-back straps, and removable padding allowing it to perform in any environment. Best of all: it fits a wide range of body types. Versatile Design: Worn alone or beneath a complete look; the altium sports bra’s removable padding adds to its versatility. X-back Straps: This criss cross back sports bra has wide, x-back straps that provide support, comfort, and increased mobility without digging into your shoulders. Fit and Fabric: This black strappy sports bra is intended to provide medium support with mid coverage. 4-way stretch fabric stretches easily to ensure full mobility. Fits awesome and true to size! Excellent support.